Automaker and alternative energy giant Tesla has signed off on a deal to build a manufacturing facility in Shanghai, the Wall Street Journal reported, in a “first of its kind” deal allowing a foreign automaker to own a plant in the city’s free-trade zone. According to the WSJ report, many details of the deal remain to be negotiated. 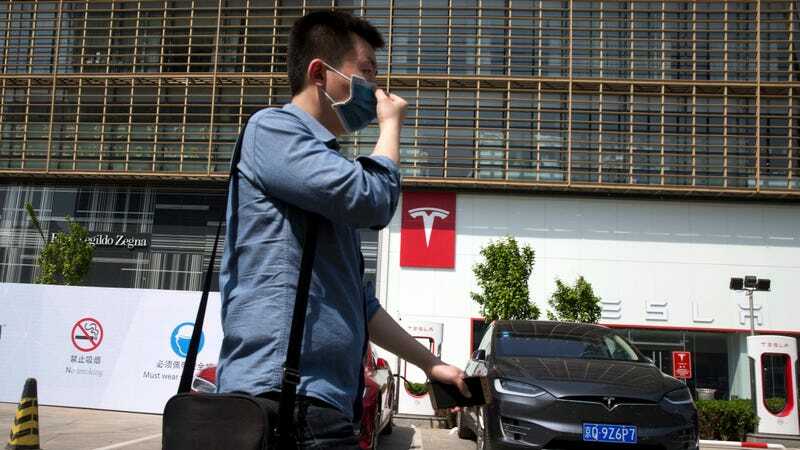 But the move primes Tesla for a larger future slice of China’s electric vehicle market, which is widely expected to be one of the world’s largest in the coming decades and has attracted joint ventures from players like Ford, Renault-Nissan and Volkswagen. Last year, Chinese authorities ordered accelerated mass production of electric vehicles. Per market research firm Greentech Media, the China Association of Automobile Manufacturers claims it will likely sell some 700,000 cars in 2017, a major increase from 500,000 sold last year. The WSJ reported authorities have set an ambitious target of 7 million electric vehicle sales by 2025. The deal could also create some political problems for Tesla in the US, where the current presidential administration has regularly voiced its opposition to offshoring manufacturing jobs (as well as its belief China poses an existential economic threat to the US). But in the long run, getting a foothold in the Chinese electric vehicle market is probably a higher priority than avoiding some angry tweets. While the Chinese electric vehicle boom is in general a positive move for the environment, there’s numerous reasons to be wary. The Chinese battery recycling industry is poorly developed and may not be capable of handling the loads of waste generated by the cars in the short term, and the country’s heavy reliance on dirty, coal-fired power plants means electric vehicles may end up worsening its industrial regions’ smog problem in the period before a transition to cleaner power sources is complete.